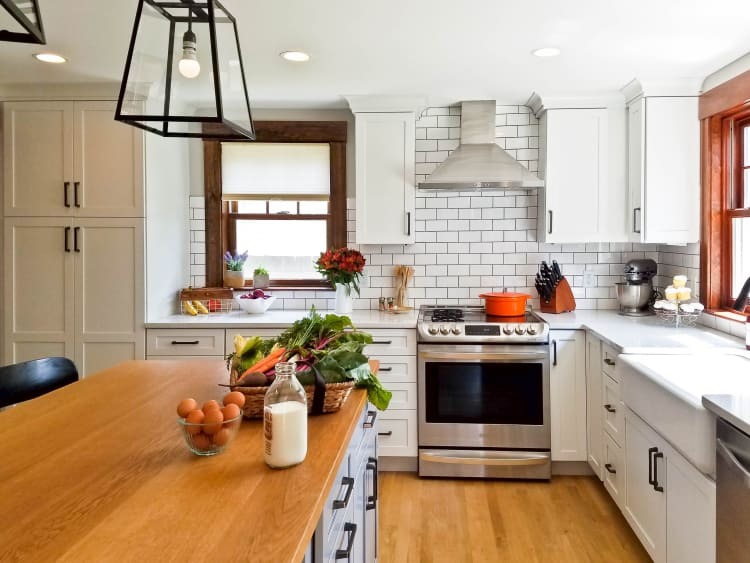 About the project (text supplied): A growing family had reached capacity at their charming craftsman style bungalow in Natick, Massachusetts. Having fallen in love with their neighbourhood and community they choose to create a renovation and addition that almost doubled the size of their home and gave them the transitional style that fit there classic aesthetic and modern lifestyle. Architect Chris Bailow of Bailow Architects used an open concept with traditional details to craft a perfect space for the young family to grow and live. Using reclaimed materials helped to blend the classic style of the existing home with the newly updated spaces. Who are the clients and what's interesting about them? A young growing family hoping to stay in the neighboured they had grown to love. Reclaimed timbers salvaged from an antique home in Dover, MA. Blend of old and new, timeless and classic, does not look like an addition.